Confirmed: Warner Going 100% Blu-ray; Is This HD DVD's Deathblow? It's been speculated upon and speculated upon, but today it happened: Warner Bros. declared undying allegiance to one format alone: Blu-ray. "The window of opportunity for high-definition DVD could be missed if format confusion continues to linger," said Warner chairman Barry Meyer, suggesting that this move will end the format war. We are a bit sad about this, given our current love of Warner's HD DVDs over their identical Blu-ray titles. And there's still a lot of momentum on the HD DVD side, with Paramount, DreamWorks and Universal exclusivity. But this is a massive blow for sure. (January 4, 2008 - Burbank, CA) - In response to consumer demand, Warner Bros. Entertainment will release its high-definition DVD titles exclusively in the Blu-ray disc format beginning later this year, it was announced today by Barry Meyer, Chairman & CEO, Warner Bros. and Kevin Tsujihara, President, Warner Bros. Home Entertainment Group. 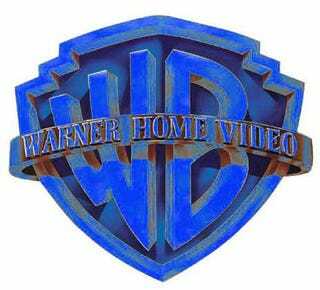 "Warner Bros.' move to exclusively release in the Blu-ray disc format is a strategic decision focused on the long term and the most direct way to give consumers what they want," said Meyer. "The window of opportunity for high-definition DVD could be missed if format confusion continues to linger. We believe that exclusively distributing in Blu-ray will further the potential for mass market success and ultimately benefit retailers, producers, and most importantly, consumers." "Warner Bros. has produced in both high-definition formats in an effort to provide consumer choice, foster mainstream adoption and drive down hardware prices," said Jeff Bewkes, President and Chief Executive Officer, Time Warner Inc., the parent company of Warner Bros. Entertainment. "Today's decision by Warner Bros. to distribute in a single format comes at the right time and is the best decision both for consumers and Time Warner." "A two-format landscape has led to consumer confusion and indifference toward high definition, which has kept the technology from reaching mass adoption and becoming the important revenue stream that it can be for the industry," said Tsujihara. "Consumers have clearly chosen Blu-ray, and we believe that recognizing this preference is the right step in making this great home entertainment experience accessible to the widest possible audience. Warner Bros. has worked very closely with the Toshiba Corporation in promoting high definition media and we have enormous respect for their efforts. We look forward to working with them on other projects in the future."